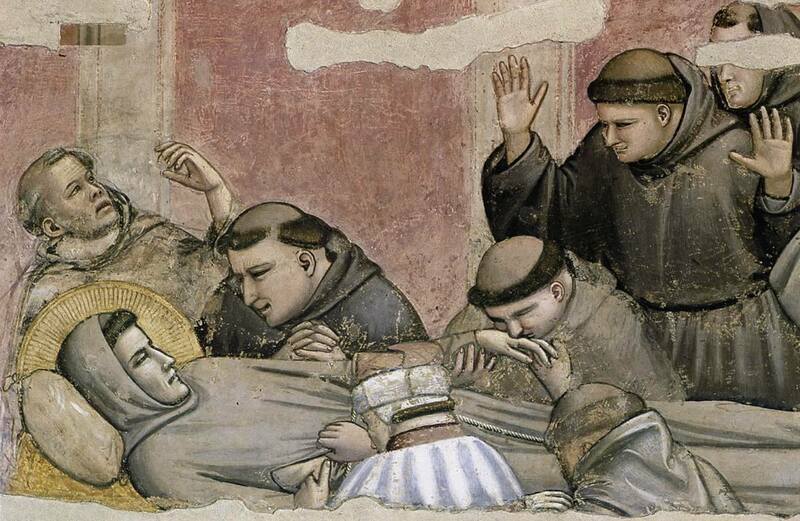 Today, we remember an event that occurred 792 years ago, that began on October 3, 1226 –Francis of Assisi passed from this life. History tells us that Saint Francis passed away in the evening hours, it was, liturgically speaking, already October 4th. The record of the events surrounding Francis’ transitus tells that his health had been sharply declining, he had asked to come home to Assisi. At the bishop’s residence in the city was being cared for and as he became aware that his death was imminent, “he asked to be carried to St Mary of the Portiuncula so that he might yield up the spirit of life where he had received the spirit of grace.” The Poor Man of Assisi exhorted and consoled his companions saying, “he asked that the book of the Gospels be brought and the Gospel according to John be read from the place that begins ‘Before the Feast of Passover’ (Jn 13:1). He himself, insofar as he was able, broke out with the Psalm: ‘I have cried to the Lord with my voice’ (Ps. 142). . . At last, when all God’s mysteries were fulfilled in him, the blessed man fell asleep in the Lord.” (Bonaventure, Major Legend, 14.5-6). May Saint Francis intercede for us before the Throne of Grace.